You are reading a remarkable issue of the best new apps series: All of the apps in this collection are free to use! 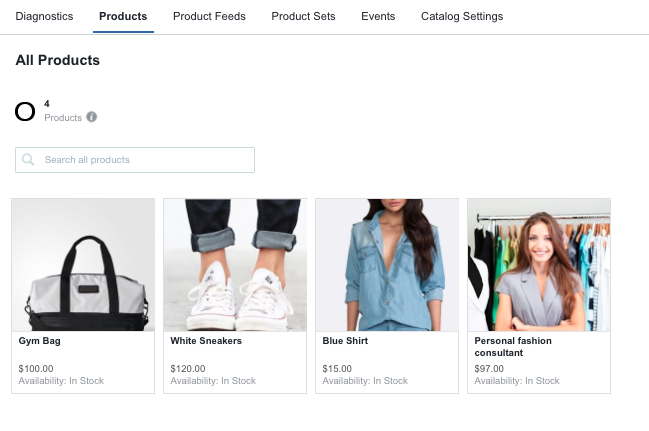 We’d like to introduce you to the Facebook product catalog for advertising on Facebook, accepting payments with cryptocurrencies, and… creating discount coupons in bulk from CSV. Facebook Dynamic Ads is an instrument for the automatic promotion of relevant products from your entire catalog on Facebook, Instagram, and the Audience Network. It can be used for remarketing (following your store visitors who viewed your products with ads), or to get your products in front of new people. The Product Catalog Generator app. 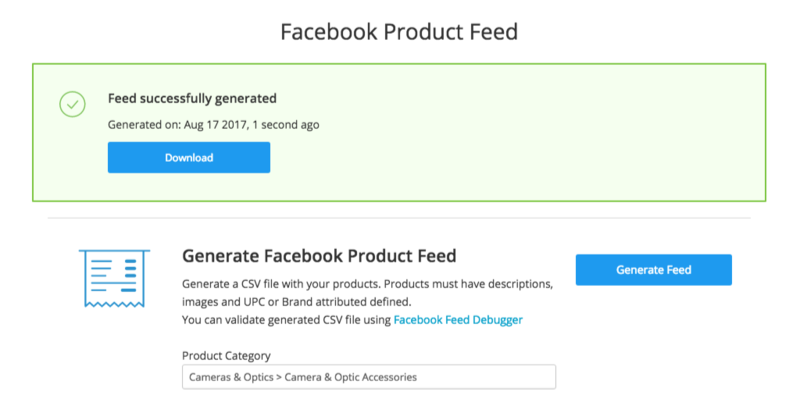 The Facebook Product Catalog Generator helps you submit your products to Facebook. It generates the product feed from your store catalog and submits it to Facebook. Open the app, choose the product category, and click Generate Feed. Then download your feed in a CSV file. Go to your Facebook Business Manager → People and Assets → Product Catalogs, click Add new product catalog. Follow the steps from the Facebook instruction to set up your catalog. If you don’t have Business Manager, learn how to get started. If you don’t have a Facebook Pixel in your Ecwid store, learn how to install it in minutes without coding. When you’ve gone through step 8 of the Facebook instruction, it’ll be time to add your feed. Choose your feed’s name and currency, and navigate to Single upload. Upload your CSV file. If your CSV file has no missing or wrong fields (i.e. if you filled in your product details correctly), your feed will be uploaded successfully. Otherwise, you’ll see warnings — just go to your Ecwid product catalog and fix what’s missing or wrong. Then export the feed in the Facebook Catalog app and upload it to Facebook again. To start advertising, go to your Ads Manager, click Create new ads and choose Product catalog sales as your objective. Then set up your campaign’s targeting and budget, and you are ready to go. If you need help, read about the basic targeting of Facebook Dynamic Ads. The greatest thing about the Facebook Product Feed Generator app is that it was developed by the Ecwid team and is absolutely free! It’s 2017, and Bitcoin is growing strong in its exchange rate towards USD: 1 BTC costs more than $4K USD! Isn’t that crazy? More and more people who are concerned with privacy try to create a wallet with the coin wallet they prefer — Bitcoin, Litecoin, Dogecoin and many more. In the case of Bitcoin, cryptography is used to make it impossible for anybody to spend funds from another user’s wallet or to corrupt the block chain. It can also be used to encrypt a wallet so that it cannot be used without a password. So how can you keep up with this trend and request such a payment solution? 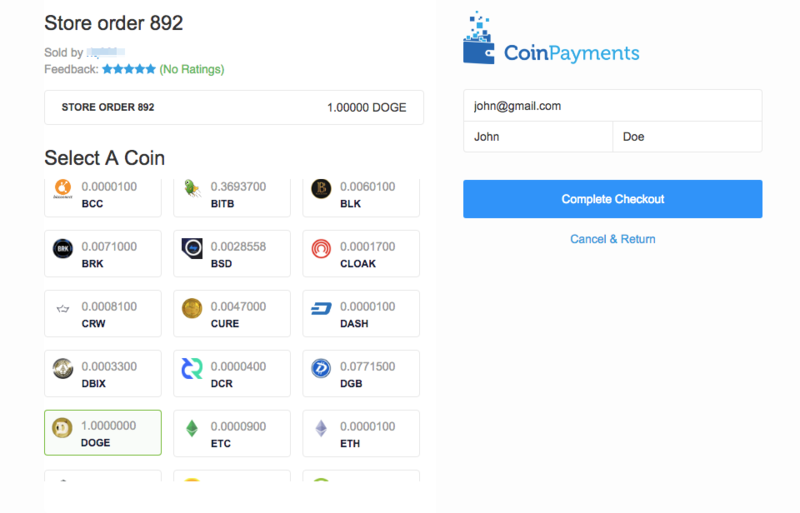 CoinPayments is one of the most popular and respectable platforms to accept coin payments for online merchants online and other kinds of sellers. So with this integration, you are getting a new way to accept payments in your store — directly into your preferred coins wallet. Price: Free, fees from payment gateway apply. Сustomers expect discounts during the upcoming holiday season. So it’s high time to top up your discount game. With the Import Coupons app, you can easily import multiple coupons from your CSV file. Make sure you follow the example in the sample file, and you should be good to go! 100+ apps from the Ecwid App Market are available for merchants on paid Ecwid plans. 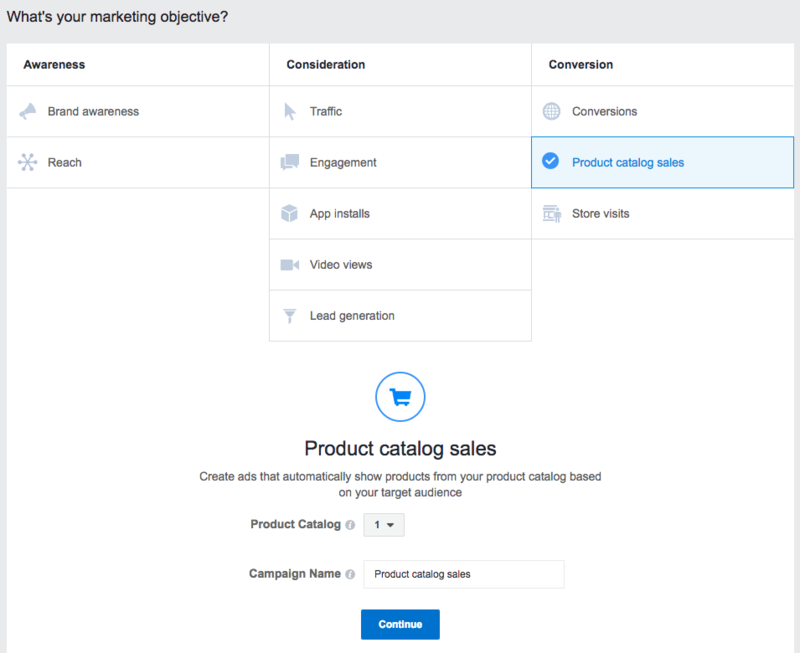 If you want to extend your Ecwid store features, you can browse applications in categories like marketing, store management, accounting, shipping, and more.